Asura’s Wrath is a collaboration between CyberConnect2 (.hack series, Naruto series) and Capcom (Street Fighter series, Devil May Cry series). The game features multiple genres, from action over to shooting, presented in the style of an episodic animation series based on Hindu mythology paired with science fiction elements. The music was handled by veteran Chikayo Fukuda, known for her work on most of CyberConnect2’s games, while it was produced by her husband Norikatsu Fukuda. It features the Tokyo Philharmonic Orchestra and Chorus orchestrated by famed arranger Kaoru Wada. This choral-focused score also emphasises the vocalist Tomoyo Mitani, known for her collaboration with Fukuda on the .hack series. 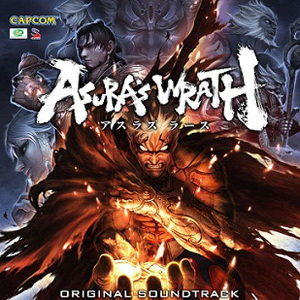 The main theme of Asura’s Wrath features a lyrical melody combined with an ethnic and grand atmosphere, perfectly fitting the game’s scenery. 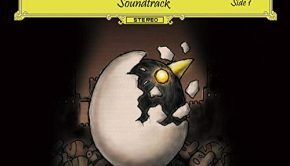 While first introduced as title theme in the second track from the first disc, it’s an perfect example of what the listener has to expect from the remaining score. Ethnic vocals paired with climatic orchestral scales will definitely enjoy most music fans. While featured across the soundtrack, the theme has four offical arrangements. “In your belief” opens the soundtrack in a splendid way with it’s fusion of orchestral and ethnic music, paired with Tomoyo Mitani’s semi-operatic vocals and choral chants. While reminiscent of some vocal themes of the .hack series, it’s a beautiful composition in its own own right. Personally, I prefer the instrumental version of the main theme on the second disc, which has even more emotional strength thanks to the power of strings and woodwinds. The second major theme is dedicated to the hero of the story, Asura, officially heard in “Furious”. Here Chikayo Fukuda creates an bombastic, near apocalyptic atmosphere with full use of orchestra, chorus, and ethnic vibes. The arefully written inclusions of piano segments and male tenor vocals help the increase the atmosphere of this stunning track to its maximum. While being epic and pompous, it never gets too obtrusive. “Already You Must Recite It” is dominated by orchestra and piano, until the main theme makes an appearance around the one minute mark, performed on violin with accompaniment of piano and string ensemble. Compared to “Furious” it’s like an brief rest after a fierce fight. Apart from the main themes, there are numerous other choral additions to the score. These include the theme of Mithra, Asura’s daughter, first heard glimpsly in the a capella “Only Happiness For This Child”. It is later fully developed in the solemn Baroque-esque rendition “A Place to Return To” and the climactic “Visit” with full ensemble glory. The recurring motif for the Seven Deities, “The God’s Military Forces”, focuses mostly on choral work with orchestral backing. It manages to bring up an epic and fascinating atmosphere. While being more softly and ambient, “Temple Ship” features the same melody, this time without the inclusion of choir. Instead, an female soloist is used, accompanied by leading strings and brass elements. While mostly being an cinematic interpretation of the game’s visuals, the score neverless features some unique elements. One of them are the themes for Yasha, Asura’s brother-in-law and rival. The “Orphan Wolf Legend” series has a blend of wild western melodies paired with rock fusion. While “Wind” introduces the listener to the theme with its whistling melody and acoustic guitar, the real meat is “Fang”, where the music gets bouncy and blood pumping with addition of passionate eletric guitar riffs and energetic percussion. Also of note, “Bonds” is a mixture of groovy western and haunting ethnic styles. While sounding a little out of place, these themes help to bring up a little more variation to the mostly orchestral score. Another surprise were two arrangements of the Antonín Dvorák classic “The New World”. While being true to their original forms, they shine especially during the context of the game as being one of the most popular moments of the story. The 4th Movement, for example, is a delicious addition to the score with its rich palette of orchestral soundscapes, especially for Classical lovers. 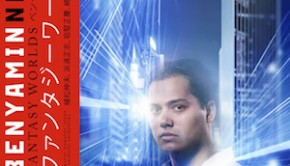 Other tracks are dedicated for various action and fighting scenes, like “God’s Vanguard”, “Fear God”, “Demon Ruination”, “Broadminded”, “Demon Curse”, “Those Who Burrow Power”, or “Show Justice”. While these tracks work wonderfully in the context of the game with their incorporation of electronic, rock and orchestral fusions, on their own however they lack interesting material and sound a bit dull. If you’re familiar with Chikayo Fukuda’s musical style, then you know what you have to expect on this soundtrack. While being mostly an epic and cinematic interpretation with great use of orchestra and chorals, it neverless features some interesting blends of other styles, such as ethnic ambience, rock fusion, or even Morricone-inspired western music. While the game is mostly cinematic, the music works wonderfully during the context. Stand-alone, it doesn’t have a same power as within the visuals, sadly. Still, the overal aesthetic and haunting atmosphere will enjoy most listeners of orchestral video game music. 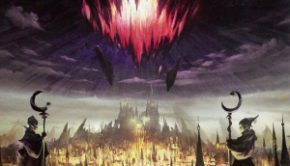 While sadly being not as unique as I hoped, Asura’s Wrath neverless features an entertaining journey to the world of the demigods. Posted on August 1, 2012 by Max Nevill. Last modified on January 22, 2016.